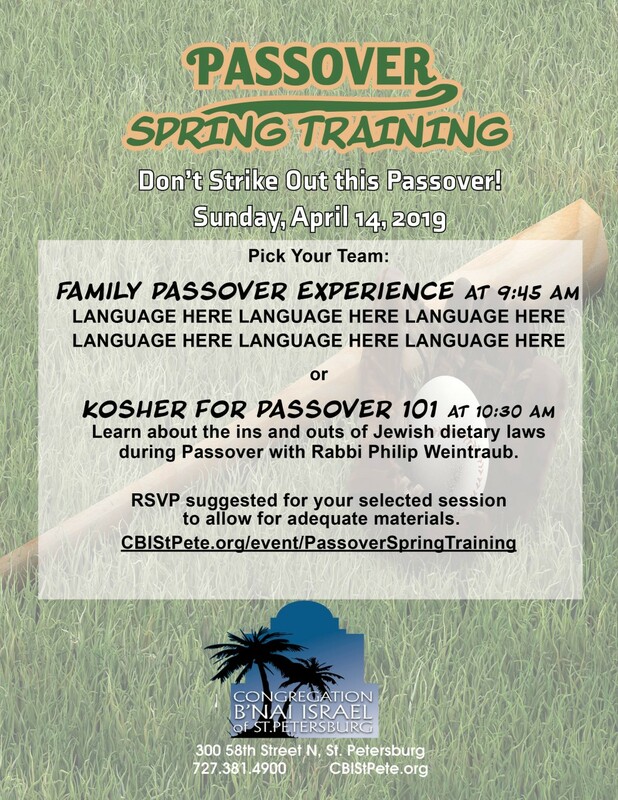 Don’t Strike Out this Passover! Why is this model Seder different from all others? Now we are free to experience a hands-on interactive Exodus covering the bases from slavery to freedom. Learn about the ins and outs of Jewish dietary laws during Passover with Rabbi Philip Weintraub. RSVP suggested for your selected session to allow for adequate materials.